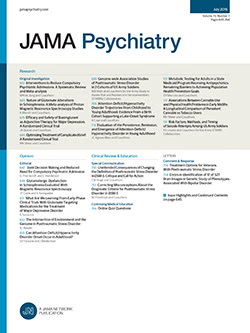 • Two diagnostic systems are compared in a psychiatric outpatient population of 175 patients. The Present State Examination (PSE)—Catego system identified 121 patients (69%) as "cases," whereas DSM-III identified 152 patients (87%) as cases. The two systems converged in 115 patients, yielding a K coefficient of only.32. Approximately one third of the DSM-III cases that were not detected by the PSE-Catego system was due to the restricted coverage of the latter system; the remaining two thirds could be attributed to differences in threshold and time framing. Compared with DSM-III, the PSE-Catego system showed a strong bias toward depression, and the system was extremely insensitive to the detection of social phobias and obsessive-compulsive disorders. Only 58% of cases of depression and 46% of cases of anxiety were diagnosed by both systems. The results are compared with other studies, and some consequences are discussed.